What's Keeping You Awake with Fibromyalgia and ME/CFS? What's Keeping You Awake with Fibromyalgia & ME/CFS? How'd you sleep last night? Did you wake up feeling refreshed and ready to start your day? Are these the worst questions to ever ask of someone with fibromyalgia (FMS) or chronic fatigue syndrome (CFS or ME/CFS)? While sleep is especially challenging to us, it is possible to sleep better with these conditions. Actually, a lot of people with ME/CFS will tell you they sleep pretty well—maybe eight to ten hours a night, plus a couple of naps during the day. Many of us with FMS, on the other hand, feel luck to get four or five hours of moderate-quality sleep a night. Waking up refreshed might be something you remember doing way back when, before FMS or ME/CFS moved in and left you exhausted. FMS and ME/CFS have a lot in common, including fatigue and unrefreshing sleep. They're also associated with numerous sleep disorders. No matter what your health problems, you may benefit from better sleep. It's not easy to do all of the things that can help you sleep better, but the health improvements can be a big reward. You probably won't be able to rule those all out quickly and easily. However, for each one you can address successfully, you'll reap the benefits of better sleep, which means feeling better. A fairly easy step is looking over the side effects lists for the medications and supplements you take regularly to see if they could be contributing to your sleep problems. Insomnia, for example, is a possible side effect of several common treatments, including Lyrica (pregabalin) and CoQ10. You can find out about side effects of drugs (and many supplements) on drug manufacturers' websites, in drugs' packaging materials, the FDA's website, or at your pharmacy. Don't under-estimate your pharmacist. They don't just count pills! Pharmacists are highly trained in the chemistry behind all of those medications and they can often tell you more than your doctor. If you believe your treatments are causing sleep problems, talk to your doctor about options. Some studies also suggest that people with FMS have abnormal brain activity during certain stages of sleep, which could help account for poor quality sleep. To determine whether you have a sleep disorder, your doctor may want you to have a sleep study. 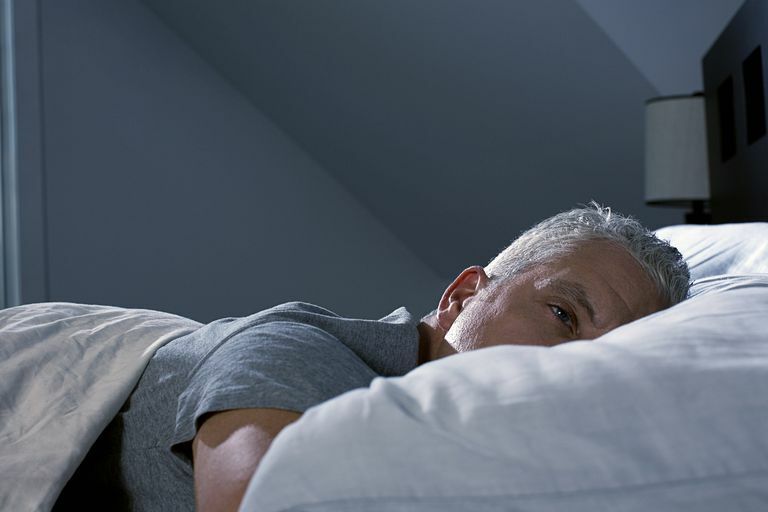 Treating sleep disorders properly isn't always easy. For example, if you need a CPAP machine for sleep apnea, it can definitely take a while to get used to it. If one treatment doesn't work well for you, you may need to experiment for awhile to find something that does (under your doctor's recommendation, of course). FMS pain is notoriously hard to treat. ME/CFS pain can be, as well. As you work to find ways to treat/manage your pain, consider your bed. Is the mattress comfortable or does it hurt to lay on it? Does your pillow support your head and neck well or do you wake up with muscle spasms and headaches? Are your sheets soft or scratchy? Sometimes, finding the right bed, pillow and sheets can really make a difference. Also, if you're bothered by sheet wrinkles, look for sheet straps to keep them in place better. They're available at many bedding and houseware stores, as well as online retailers. You may want to talk to your doctor about specific pain treatments for nighttime. A medication that makes you too tired to function during the day may be just what you need to sleep better. Also, simple things like an Epsom salt bath or gentle yoga may help ease your pain and relax you before bed. When you think about going to bed, do you feel all warm and cozy or does it stress you out? If you dread going to bed because it means laying there awake and hurting for hours, it's not going to help. It's important to think about your attitudes toward sleep so you can identify whether you have negative associations. You may be able to get past those attitudes on your own, or you may have better luck with professional help, such as cognitive behavioral therapy. Once you've addressed these issues, you'll likely have better luck with sleep hygiene improvements. What is good sleep hygiene? Read Sleep Hygiene for Fibromyalgia & Chronic Fatigue Syndrome. What's Acupuncture Like with Fibromyalgia & ME/CFS? Think Fibromyalgia/ME/CFS Don't Merit Disabled Parking? Think Again! Driving with Fibromyalgia or ME/CFS: Is it Safe?